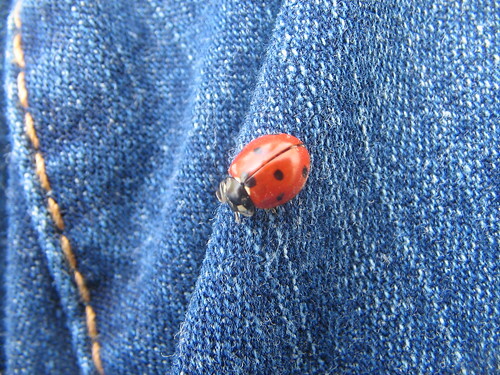 As we picnicked on the grass under the shade of the cherry blossoms today, Amy pointed out a ladybug lazily crawling through the grass by my leg. I took it upon my finger and let it scuttle about my person for a bit, before it grew tired of my company, opened its wings, and flew off back into the grass. On a related note, you can buy 1,500 live ladybugs for about $15 with shipping. They eat garden pests without harming your plants.